To those of you who are contemplating a visit to Montreal or who enjoy armchair travel, do pick up the March 2006 Special Issue of Gourmet. 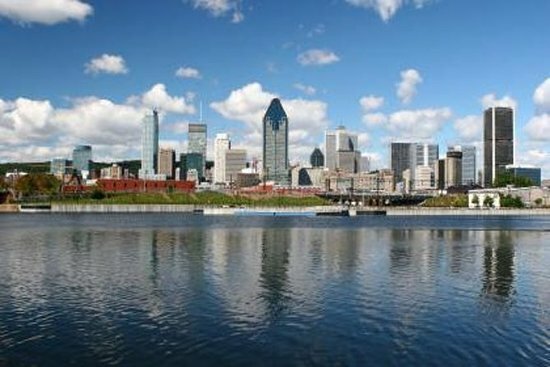 Its titled North America's Most European City Affordable Montreal. Although, there are some omissions (no mention of Reuben's in the deli section, being one), it's a very good colourful guide to the city from a hotel and food perspective. Gourmet couldn't be more complimentary. 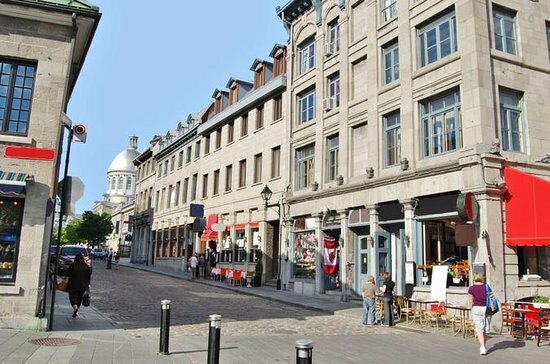 Its editor opines that of the 6 single city issues that Gourmet has published, which include Paris, Rome, San Francisco, New York, and London, the time spent in Montreal was the most exciting of all. I don't agree, but this is high praise, indeed. Related: What are the most popular tours in Montreal? Gourmet Mag did a fine job highlighting some of Montreal's finest dining establishments. No offence to Fearful who I hope was being sarcastic but "no mention of Reuben's" (a deli along the same lines as Bens or Dunns)is actually a good thing. Yes, I agree that Reuben does not deserve any honorable mention. Maybe I am interpreting this post incorrectly, but it seems that the purpose of the post is to say, "I don't agree - Montreal is not in the same league as these other cities." Obviously, someone thinks differently, at least from a culinary perspective. Why this deliberate Montreal bashing post? What purpose does it serve other than aggrave other TA participants? First Reuben's: Gourmet included a section devoted to deli. I've been to Montreal numerous times as a tourist and also spent a summer there when my daughter studied with Les Grandes Ballets. I'm familiar with many delis, including the most lauded Schwartz's. My preference is Reuben's for a smoked meat sandwich. By the way, many moon ago, the concierge at the Ritz recommended it over Schwart's. That is how I came to go there. I've since revisted Schwartz's, Ben's etc. but still return to Reuben's. Taste is so individual. As for bashing Montreal, this is not so. I just don't agree that Montreal is a more exciting city than Paris, or London, or Rome. The fact that one expresses a preference for one city over another does not constitute bashing. Clearly, if I were bashing the city I would not commend Gourmet's issue as a tool for visitors. Reread my post. Your inexplicable attitude to my well-intended gesture to assist others contemplating a trip to Montreal recalls the adage: No good deed goes unpunished. I'm signing off now and won't respond further to silly allegations. Could not help notice your post on Toronto being a great dining city. Interestingly enough, you did not mention that it is not as great as Paris, Rome, San Francisco, New York and London. By the way, I ate at Rain and was not particularly impressed, but try it and judge for yourself. Just picked up the March issue of Gourmet magazine this morning. It is a must have for anyone contemplating a visit to Montreal. Alot of great info about the restos and the character of this great city. I cannot compare the restos to some of the other cities listed, however, since I am in the NYC area I can truthfully say I prefer the Montreal dining experience over Manhattan's. Would you be so kind as to post the restaurants listed in the review in Gourmet magazine? I have been unable to locate a version. I wouldn't give much value to ratings of that nature. Why would we be more European than Boston for example? I don't know. What documentation do I require to enter Canada ? Do I need a passport ? Where should I stay in Montréal? I speak a little/no French. 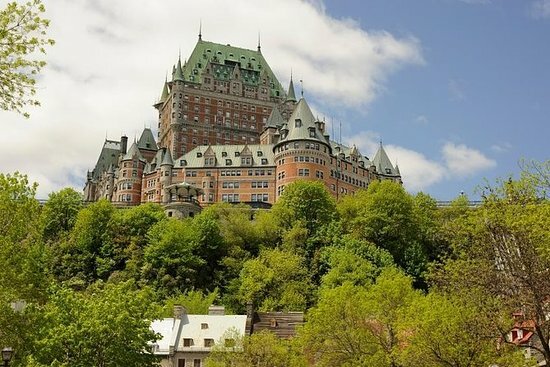 Can I get by in Québec ? How tolerant are the locals? Are there any unsafe neighbourhoods I should avoid? I'm considering visiting Montréal but I'm not sure. Can you offer some inspiration? Where can I park my car downtown? I've heard Montréal is great for bachelor parties... any ideas of where to go? Are there any tours of the city I could take?